His Majesty King Harald and Her Majesty Queen Sonja of Norway began their state visit to China on 11 October 2018. The delegation included over 300 representatives from Norwegian trade and industry, the largest Norwegian business delegation ever on a state visit. The first stop of their visit was the city of Dunhuang, in north-western part of China. Their Majesties visited the Gansu Dunhuang Solar Park, Dunhuang City Kindergarten, and attended the opening ceremony of Preschool Education for Sustainability Forum. The King and Queen also visited the Mogao Caves, a UNESCO World Heritage site that have caught their attention since their first visit to China in 1985. 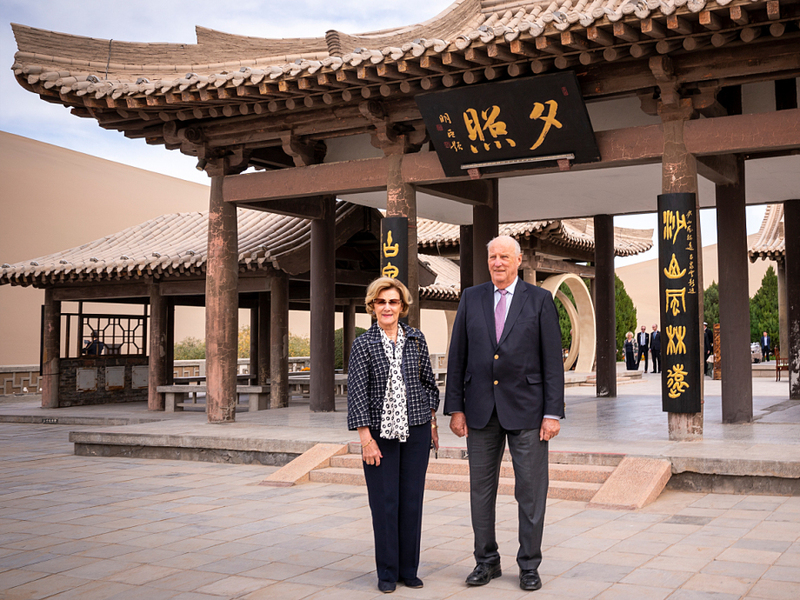 The Silk Road Dunhuang Hotel is honoured to be the designated hotel of the Welcome Dinner for the King and Queen of Norway. 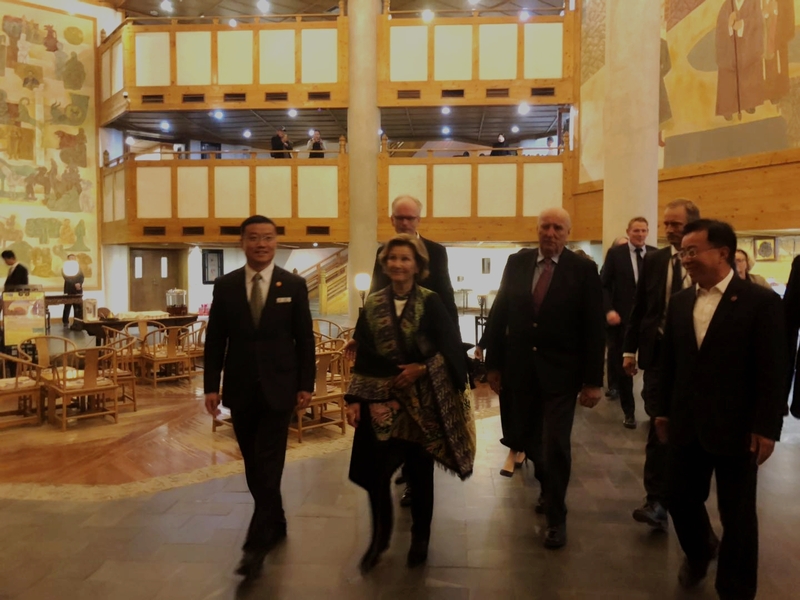 After the hotel tour, Their Majesties joined the Welcome Dinner held at the Starry Lounge of The Silk Road Dunhuang Hotel, which offers a panoramic view of the vast Gobi Desert. The Silk Road Dunhuang Hotel was also responsible for Their Majesties’ lunch arrangement at the Mingsha Sand Dunes on 13 October 2018. All the staff of the hotel joined hands together to offer the best catering service to the King and Queen and their delegates.